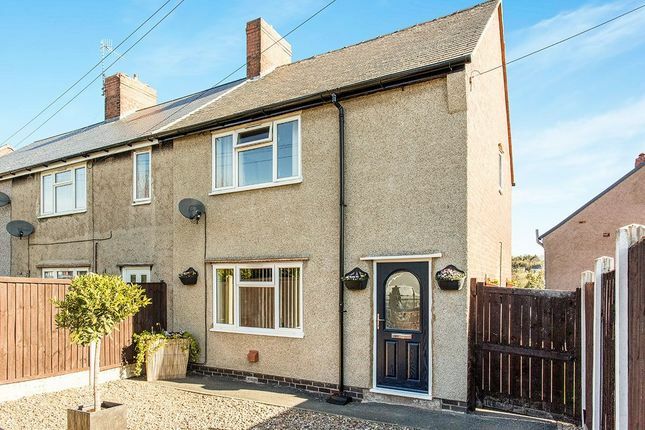 Situated in A popular location of chesterfield and being nicely presented throughout .......... Briefly comprising of entrance hallway, lounge, fitted kitchen, downstairs bathroom and door leading on to the rear garden. To the first floor are 3 bedrooms and then further stairs lead to the attic. To the front of the property is a low maintenance garden and off street parking. To the rear is a lawned area of garden and decked area ideal for entertaining. Shared access to the rear. Front door leads into the entrance hallway. Central heating radiator. The focal point of the room having a fire surround and fitted gas fire. Window to the front. Laminate flooring. Fitted with a range of wall and base units and having roll edge working surfaces over. There is a single drainer stainless steel sink unit with mixer tap. Gas oven and hob included in the sale . Heated towel rail. Window over looking the rear garden. Beautifully presented bathroom comprising of panelled bath, pedestal wash hand basin and low flush WC. There is a separate walk in shower cubicle. Tiled floor and walls. With window to the front. Central heating radiator. Door leads to stairs which lead to the attic. With window to the rear. Central heating radiator and laminate flooring. With window to the rear. Central heating radiator. Stairs rise to the attic. Two velux windows. To the front of the property is a low maintenance garden. Off street parking. To the rear is a lawned area of garden and large decked area ideal for entertaining. There is shared access to the rear of the property. The next door neighbour can use the gate if needed to get to the front of their property.